Nothing is more important to any nation than its national security! It behooves all branches of any government to be ever mindful of this. Industrial growth and corporate profit, while highly desirable, must never be allowed to jeopardize a country’s national security – which is precisely what is happening in Canada today! The Government of Canada, the Business Council of Canada, former Canadian federal cabinet ministers, Telus, Bell Canada and many of Canada’s finest universities are all scrambling to curry favor with Huawei – because of that company’s very deep pockets! Particularly on something as sensitive as ‘5G’ technology, which is expected to revolutionize the whole communications / electronics world, not just cell phone technology. In fact, 5G is expected to render obsolete many of today’s communications / electronics technologies. Governments must ask themselves: could 5G impact on the security and survivability of Canada’s nation electric power grid? Or could it impact on Canada’s national / international telephone systems? Western security experts are absolutely correct in their fears that, by allowing Huawei to participate in the development of 5G, Huawei could very easily build in ‘back-doors’ – which could put Canada at the mercy of the Chinese government! If this seems too far-fetched, remember Huawei’s history! For this very reason, if Canada continues to partner with Huawei, informed people know that Canada should expect to become persona non grata within the ‘Five Eyes’ community. These and perhaps other countries will ostracize Canada electronically for fear that we might infect their systems with Chinese viruses, etc.! Feb. 25, 2012 – Canada’s ‘Crown Jewel,’ Nortel Networks, Was Hacked to Death – by Huawei! So said ’60 Minutes; so too did the Financial Post, as did the Wall Street Journal! None would argue that hackers had free reign inside Nortel’s network for more than a decade before the company went bankrupt in 2009! Huawei enjoyed rapid global growth matching Nortel’s equally-rapid decline. Similarly, Cisco and Motorola both sued Huawei for hacking and/or ‘stealing’ technology from them, both lawsuits being settled out of court! In 2010, Huawei hired Nortel’s former chief technical officer (John Roese) to head up its R & D in North America! Dec. 7, 2018 – Canada and All Western Countries Should Ban Huawei and ZTE! Dec. 10, 2018 – Is Huawei China’s Trojan Horse? Canada is completely out-of-step with its “Five-Eyes” intelligence-gathering allies (the USA, UK, Australia and New Zealand) who, for good reason, consider Huawei and other Nationalist Chinese companies to be a threat to their national security. So too does Japan, the Czech government, and a number of European countries. How is it possible for Canada’s government to forget what Huawei did to Canada’s own, then world-leading, Nortel Networks? Anyone who understands how critical – and increasingly vulnerable – is a country’s electric power grid and its telecommunications infrastructure, especially with the advent of ‘5G’ technology and the coming ‘Internet of things’ (IoT), ‘smart’ cities, etc., knows how indefensibly irresponsible, if not downright criminal it would be for any nation to allow a nationalist Chinese company to be involved in any way with technology on which its critical infrastructure is dependent! Yet, today, Huawei has been welcomed with open arms in Canada! 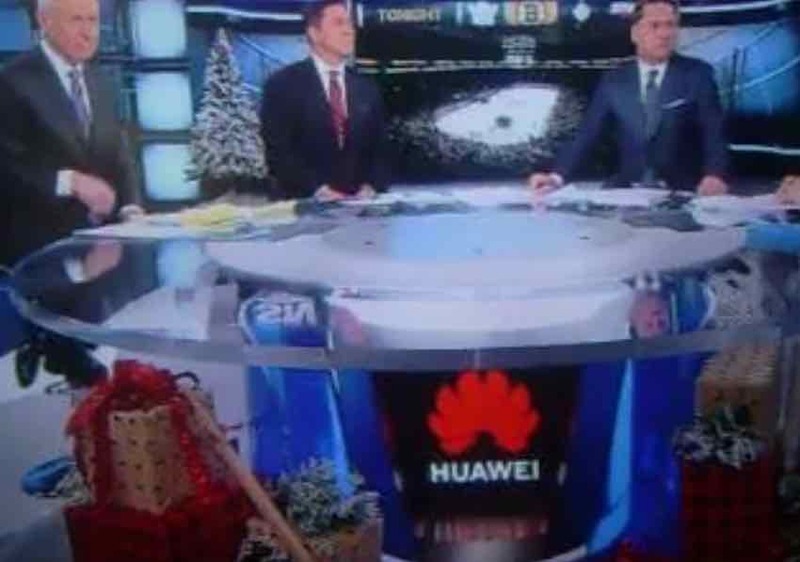 Huawei even sponsors Hockey Night in Canada! Something is terribly odious here! Conflict-of-interest is there for anyone to see – if only they had the temerity / guts to look! Canada must never be imprudent or reckless for the sake of industrial growth and/or corporate profit. Instead of Huawei, why not partner with Ericsson and/or Nokia? This entry was posted on January 27, 2019, 2:26 pm and is filed under 5G, Canada, eNode, gNode, government, Huawei, Ottawa, Prime Minister, Security, Small Cell, small cells. You can follow any responses to this entry through RSS 2.0. You can leave a response, or trackback from your own site.